Bolton Wanderers revealed their 18/19 home shirt which will be worn by Phil Parkinson’s men throughout the forthcoming 2018/19 Sky Bet Championship campaign. The shirt, produced by official kit supplier Macron, is based on the traditional club colours of white and navy blue and will feature Betfred, the club’s official shirt sponsor, on all adult shirts. 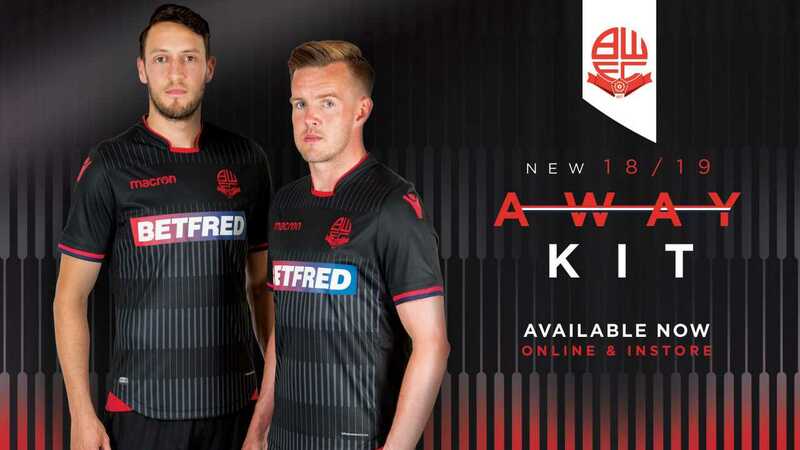 The New 2018-19 Bolton Away kit is fully black with a sublimated grey graphic across the front which gives the impression of tone on tone horizontal stripes. 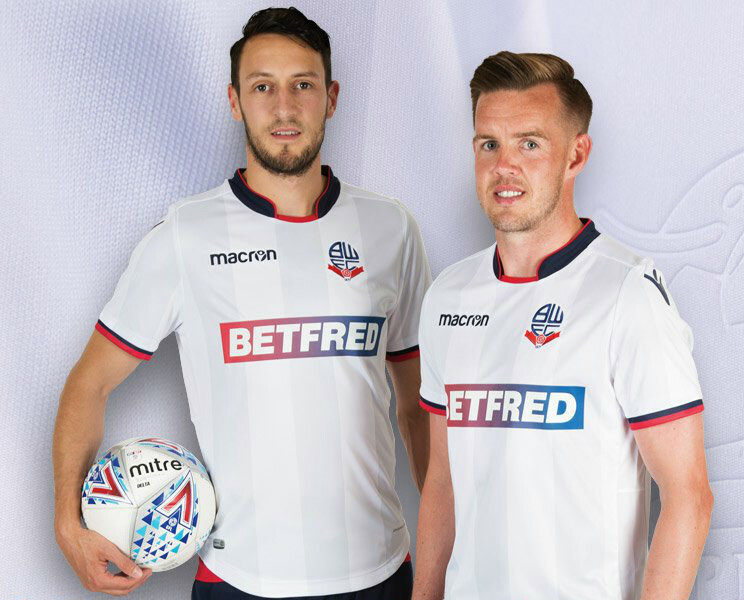 Bolton Wanderers limited edition 18/19 third kit, produced by official kit supplier Macron, will feature Betfred, the club’s official shirt sponsor, on all adult shirts.